Hal Rammel has been involved in music and the visual arts for the past 40 years. As a composer and improviser utilizing instruments of his own design and construction, Hal Rammel has released recordings on his own label Penumbra Music. 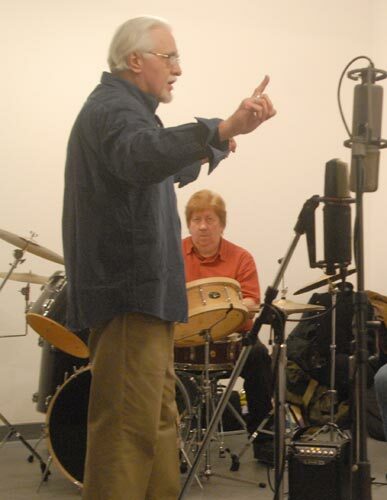 During the 1980s he was an active member of Chicago�s experimental and improvised music scene performing frequently with Gene Coleman, Michael Zerang, John Corbett, Terri Kapsalis, Lou Mallozzi, Jim Baker, Don Meckley and others. Now residing in southeastern Wisconsin he performs and records in a variety of projects with Steve Nelson-Raney, Thomas Gaudynski, Chris Burns, and Jon Mueller in various ensembles including Audiotrope, the November Quartet, and Raccoons.